For the past week the country has been gripped in a little ice age. An area of high pressure has settled over Britain, trapping cold air and snow, blocking out the prevailing warm south-westerly winds. Temperatures as low as -20c have been recorded (my family in Cheshire experienced -14c) coupled with up to a foot of snow. Predictably, the whole country has ground to a frozen halt. Personally, the only problem I have with the snow is that I haven’t had enough time to go out and play in it. Unlike this time last year (see Fieldnotes: 4th-10th January 2009), I’m limited by work and family commitments. It’s one thing to go out and freeze myself following badger tracks in the snow. It’s another thing entirely to do it while carrying a five month old baby! Back in the old days I’d have packed up a tent and sleeping bag and headed out into the woods, just for the challenge of it. Can’t really justify that now. Nevertheless, today I drew upon Mid-Bedfordshire’s tradition of polar exploration (there is one, honestly) and went out into the snow to see what is happening. Here’s some new tracks to have a look at. These are squirrel tracks. I watched the squirrel as it bobbed around in our garden and then went out to look at the tracks. The pattern is similar to that of a rabbit – the same bounding gait – but smaller. I walked on up to the pasture field to look for evidence of the badgers. The snow last year was a priceless help in deepening my understanding of badger habits and how the local territories interacted. This year the picture was much more confused. There was almost a weeks worth of tracks, of animals and humans, and recent falls of snow have complicated matters still further. Nevertheless, it was possible to trace the movements of individual badgers. 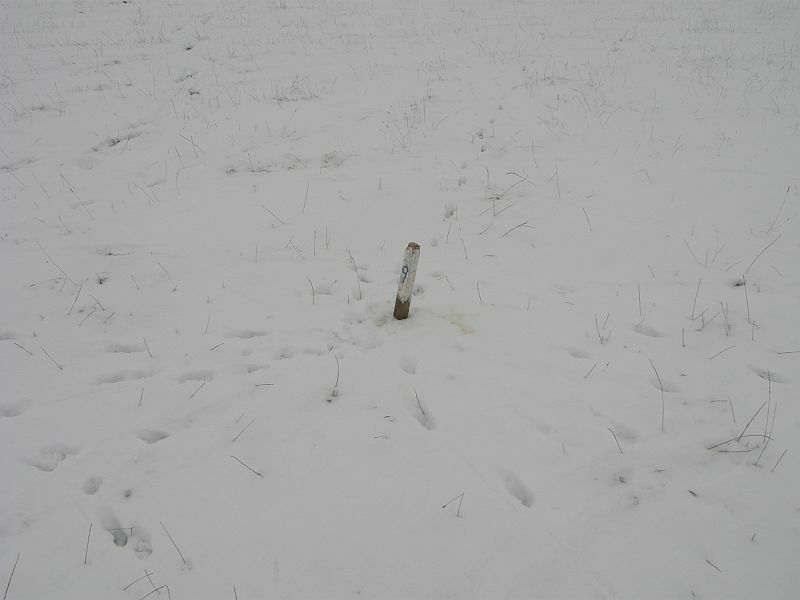 Clearly visible were the patches where they had dug through the snow into the soil. I couldn’t see any dung, so I assume it was for food. Badgers don’t hibernate, but they do slow down. 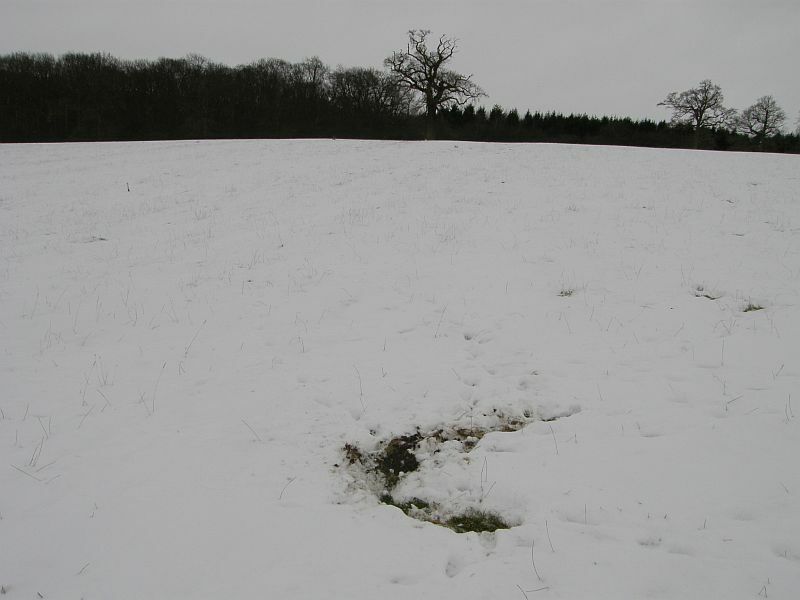 It’s a useful thing to know that badgers will still come out and forage, even in these extreme weather conditions. Inside the wood there was more evidence of badger activity. I didn’t get to visit the sett itself (like I said, there is a limit to how far I’ll take my daughter in these conditions – sturdy girl though she is) but I did add a few more snippets to my badger map of the area. The wood is criss-crossed by paths, but it is difficult to know for sure that they are badger paths. Very often the only tracks you’ll find on them are for deer. 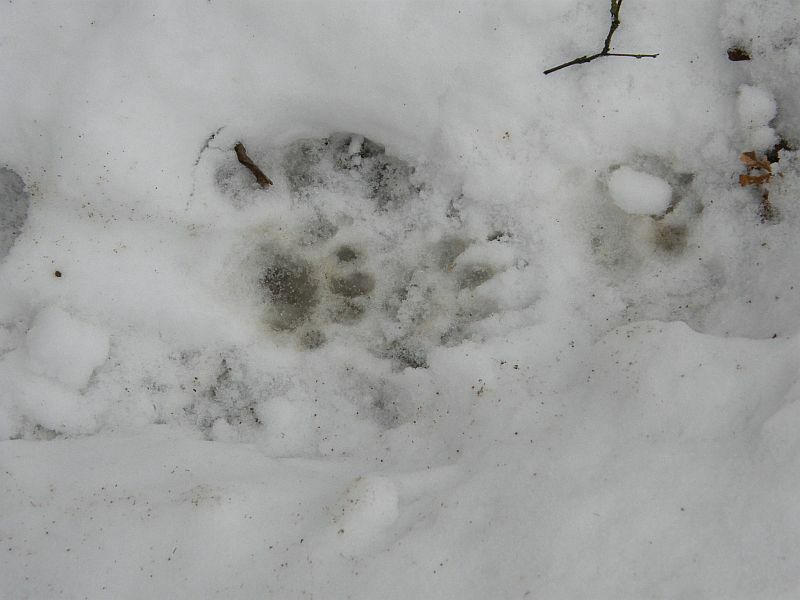 Today, however, there were clear badger tracks, showing that these are indeed badger paths. I’ve tried to follow them in the past, as I suspect they lead to the almost mythical ‘third sett’ in the area, but I’ve always lost the paths among the trees. If the snow persists I’ll have the perfect chance to follow them to their source. The snow told other stories too. There were plenty of fox tracks in the field. They all converged on a post where the foxes had obviously scent-marked. Just like dogs, I guess. It’s all part of the territory marking. Foxes will tend to leave dung in exposed places such as tufts of grass for the same reason. It’s a nice little insight into fox behaviour. Lastly, here’s a bit of a mystery. These tracks were in the middle of the field. 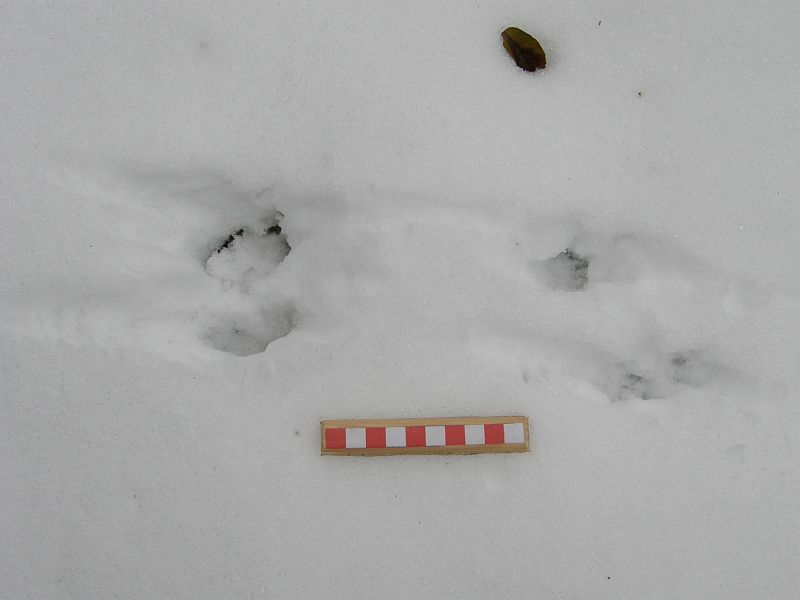 It’s a bounding gait again, with the tracks in groups of four like a rabbit or squirrel, but only a few centimetres across. 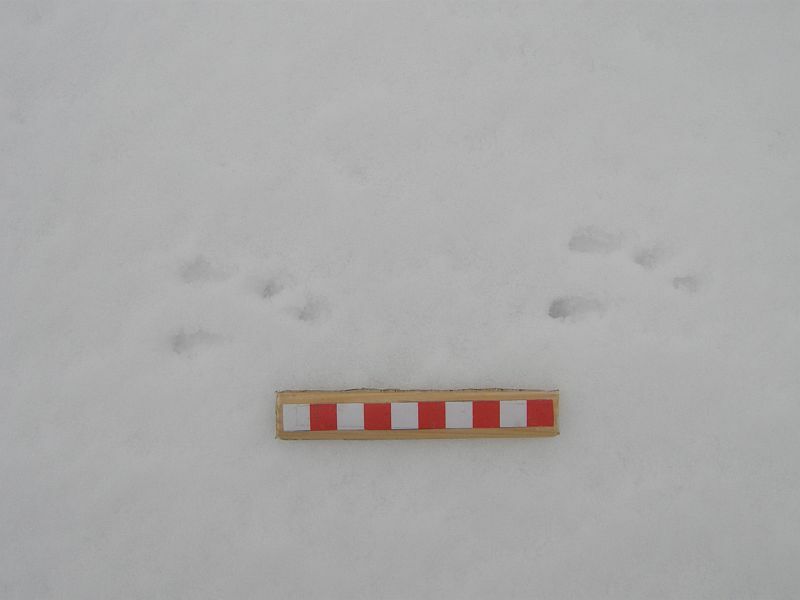 The individual prints were not visible in the snow, but the gait can be more revealing. Something the size of a mouse would surely have burrowed under the snow, not bounded over it. I’ll need to look this one up, but in the meantime any ideas are welcome. Hope you’re making the most of the snow too!